With over 1,800 acres of mining area within the Resurrection Creek Drainage, large scale commercial mining is a viable option for seasoned operators with commercial grade excavation and gold processing equipment. Most Hope Mining Company claims within the Resurrection Creek Drainage have approved mining plans of operation. 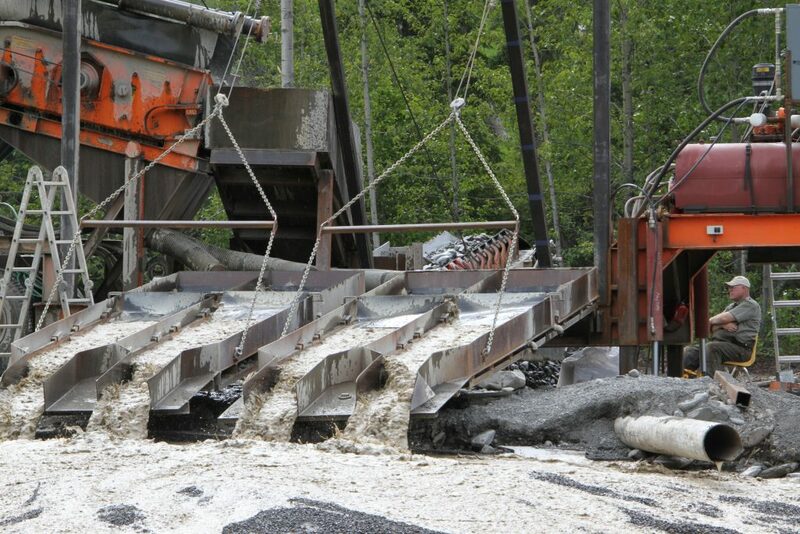 Many areas are proximal to or tie into an existing settling system and most are accessible or closely proximal to established mining roads and/or trail systems. The main camp and maintenance areas are behind locked gates affording above average security for ongoing operations. These amenities afford an equipment-ready commercial opportunity. Vast mining areas can accommodate large scale wash plants and trommels that can process between 500 and over 1,000 yards per day. Large excavators (35,000 pounds plus), large dozers, loaders (with buckets up to 7 cubic yard capacities), dump trucks and 6″ to 8″ water pumps are permissible and typical within larger scale commercial operations. An Alaska State Mining License is required to obtain a Hope Mining Company Lease Agreement for commercial mining operations. Bonding and reclamation is required by the US Forest Service and the bond amount varies depending on the agreed upon mining area, the ground to be disturbed as part of the mining operation and other factors governed by Forest Service regulations as they apply to surface mining in Alaska. You may be provided with a designated camp area that can accommodate tents, a camper, or a reasonably-sized pull-along camper, trailer or motorhome. You may be provided with a construction and maintenance area and an area to place non-permanent storage containers such as a Connex, semi trailer and/or small ATCO units.